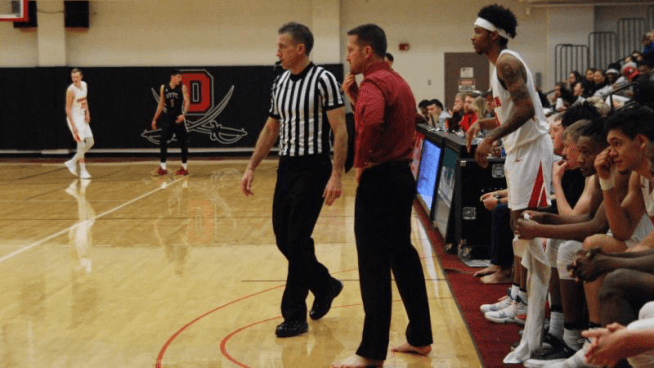 On Barefoot Coaching Night at the DCC basketball games Thursday, 26 pairs of shoes were donated and will be distributed to those in need within the MonDak Region by Samaritan’s Feet and $830 was donated to provide school shoes in Kenya. That will be enough to buy new school shoes for over 40 children. Coach Romeo with the Lady Bucs and Coach Peterson with the Bucs participated in the event by taking off their shoes and coaching barefooted to raise awareness for the millions of people throughout the world who don’t have proper footwear. Both Dawson teams won their games this year and the past two years.